It’s been just over a month, so, I just wanted to touch base to let you know I’m LOVING it here. I just wanted you to know that I am forever grateful for you for reaching out to me on Linkedin and setting me on this new path. I’ll continue to recommend you! “I have never used professional recruiters before, but after moving from NYC to Syracuse, I found myself with no personal network that I could turn to for assistance. I came upon C.R. Fletcher. My recruiter didn’t just help me find a “great job”–but an incredible place to continue my career. I would greatly recommend C.R. Fletcher to anyone looking for employment.” -Patricia G.
” While working as a contractor in the Syracuse area C.R. Fletcher handled my payroll. I was always treated kindly by the staff, and I found the staff to be very helpful. No question went unanswered, and they were always available when I had a question. Their payrolling process was simple, and always accurate. I would definitely recommend C.R. 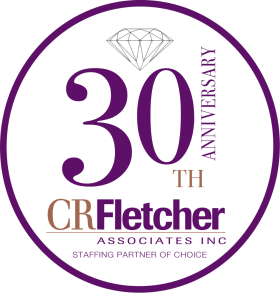 Fletcher to anyone looking for job placement.” –Corey P.